My own personal journey to consciousness and spiritual living started in 1993 when I met a Crystal Healer who I subsequently became great friends with. Unlike me who had dabbled in crystals, tarot and an organic lifestyle, my new friend lived & breathed spirit, energy, crystals and all things holistic health. In all honesty I was sceptical, thought it was all a bit left field & definitely way too esoteric for me to fully embrace. So there began my journey to consciousness with a focus on the energetic healing space, one connection led to another connection, new information, different modalities, belief systems and courses to do. The real turning point or one of the main ones for me came in 2007 whilst working in a very corporate environment that was super stressful, frantic & filled with lots of people who were only out for themselves. One afternoon I’d had enough, so I left the office & hopped on a bus to Balmain to visit an energy healing centre there. There I was stressed, run down & needing something, although I didn’t know what the something was. 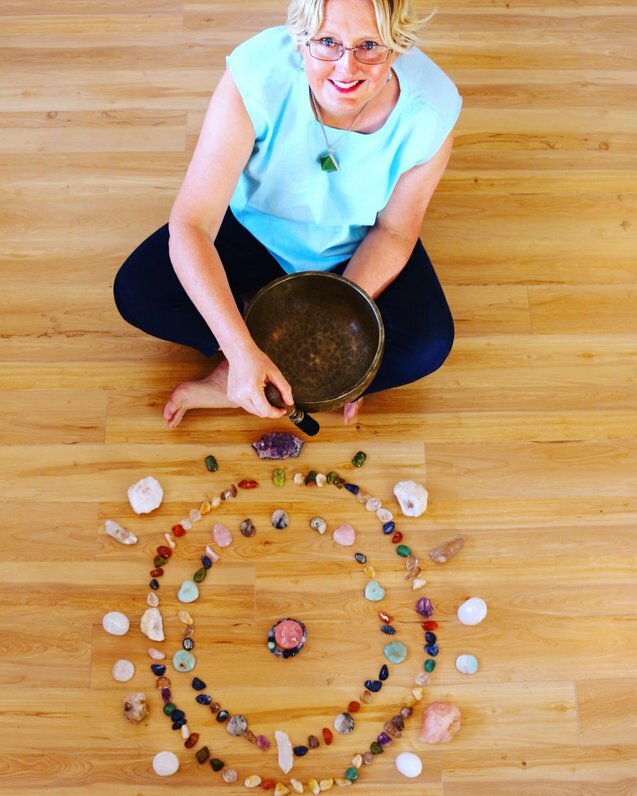 So I wandered in and asked for a healing session with whoever was available and I met the very talented Azraella Raphael with a very calm, relaxed and intuitive presence. I’ll never forget that moment that she stopped my healing part way through and said ‘they have a message for you, you’re meant to be a healer’. I think I pretty much ran from that room vowing to never go back. What a crazy idea that totally didn’t fit with my corporate career or any other life plans I had! Fast forward to 2011 and I was at a career crossroads, I’d trained as an Energy Healer hated my corporate lifestyle and the energy of the offices I worked in and wanted to be a mother. So there it was, after all those years of living the corporate life what I really wanted was to be a mum to a beautiful soul, to nurture their creativity, to be their rock and to shower them in unconditional love. It was at this point that I knew things needed to change, I went back to Azraella and the first thing she said was ‘I’ve been wondering what happened to you and whether you pursued the road less travelled’, it turns out she had sensed I thought she was mad for suggesting I would be anything other than a corporate career girl. It was after this that my doctor also told me I needed to leave the high stress environment I worked in if I wanted a chance of becoming a mum. So I left with no idea of what was to come, worked in some short term temp jobs and started my journey to parenthood. In 2012 I was blessed with a beautiful daughter who taught me how to truly love. It was at this point that I mentioned to my own mother that if I had my time again I’d be a jeweller. I didn’t think about that again for a few years & had my gorgeous boy in 2014. Towards the end of 2014 after becoming more mindful in my lifestyle the universe delivered the opportunity to study Jewellery Trade at TAFE. It was a whirlwind January 2015 and bang I was learning to make jewellery and upskilling for the next phase of my life. A lot has happened over the past few years on my journey to consciousness including a move out of Sydney to a much more idyllic lifestyle in the Lake Macquarie area. Is my journey to consciousness and spiritual living over? Absolutely not, the more I learn, channel and intuitively become aware of, the more I realise there is to learn. For now, I’m really happy combining my corporate experience with my Energetic Healing and Jeweller skills. Life is busy with two little people to guide and nurture, beautiful Earth Friendly Jewellery & Accessories to create and high vibe Creative Workshops to design, develop and deliver.